Flood Child by Emily Diamand. 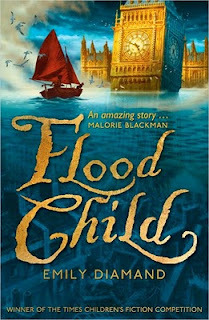 "Flooded England, 2216 ... England has changed for ever: most of it is under water. Worse, bloodthirsty pirates prowl the shores, and when they kidnap the Prime Minister's daughter it looks like war. But out of this drowning world comes Lilly Melkun, a girl determined to put things right, with the help of a pirate boy - and an extraordinary treasure from the past, with the power to change the Future..."
I've wanted to read this book for so long so cannot wait to read it! Flood & Fire by Emily Diamand. 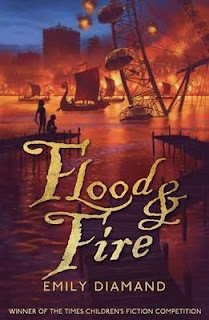 "Flooded England, 2216 - Lilly Melkun has outwitted the bloodthirsty Reavers, who prowl the waters that cover most of England - and escaped to Cambridge. But Lilly is far from safe, because stil in her keeping is PSAI, the last hand-held computer in existence - a now malfunctioning treasure from the past. Inside the jewel-like computer, is a sinister looking chip with an unknown purpose. Worse follows, when the professors of Cambridge plug it into an ancient mainframe computer setting in motion a fiery chain of eents leading back to London. A false, anti-terrorist alert has been activated. Strange, out-of-control robots from a long-ago technological time, threaten to use 'maximum force' to control everything in their way. Once again, it's up to Lilly, Zeph and friends to save the world from burning"
The sequel to Flood Child. 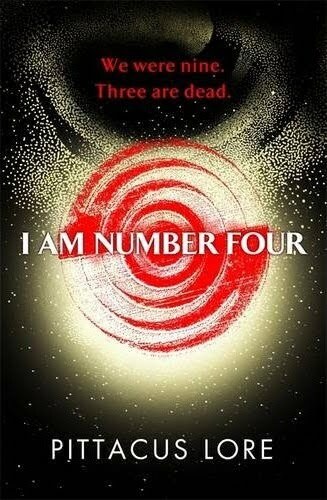 Can't wait to read this either. 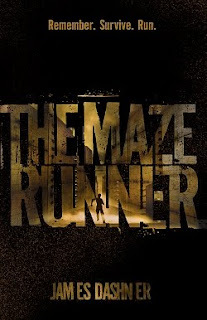 "Since her mother's death, fifteen-year-old Jem has kept a secret. When her eyes meet someone else's, a number pops into her head the date on which they will die. 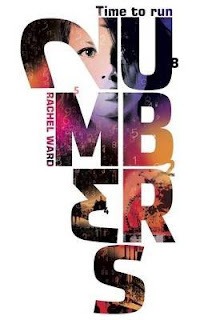 Knowing that nothing lasts forver, Jem avoids relationships, but when she meets a boy called Spider, and they plan a day out together, her life takes a new twist and turn. Waiting for the London Eye, she sees everyone in the queue has the same number - something terrible is going to happen." Numbers 2: The Chaos by Rachel Ward. "Like his mother, Jem, when he looks in people's eyes, Adam can see the dates of their deaths. It's hard enough living with this terrible gift, but life is about to get tougher. Adam sees that everyone around him has the same date - 1st January 2027. Something huge is going to happen. Something bad. But what is it? And what can he do about it?" Can't wait to read this either! Going to read them back to back. Read this already, and absolutely loved it. You can see my review here. 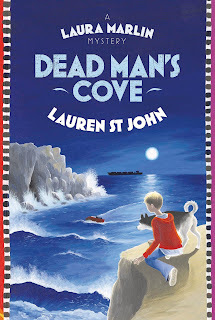 Dead Man's Cove by Lauren St John. "When orphaned Laura Marlin moves from a children's home to live with her uncle in Cornwall, she longs for a life of excitement just like the characters in her favourite detective novels. A real life adventure is on hand as she is deposited at her uncle's spooky house . . . Why does her uncle, Calvin Redfern, forbid her to go to Dead Man's Cove? What's the truth about Tariq, the silent Indian boy who lives with the flamboyant Mukthars? Who is J? Who has left the message in a bottle for Laura to discover? 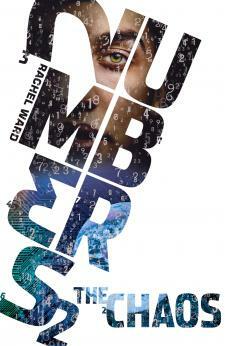 Mysteries abound and who better to solve them than Laura Marlin, ace detective? Accompanied by her trusty companion, Skye, a three-legged husky, the dog she's always wanted, Laura's adventures begin." Looking forward to reading this. Loved the White Girrafe books! Thanks to the amazing Nina at Orion for this! 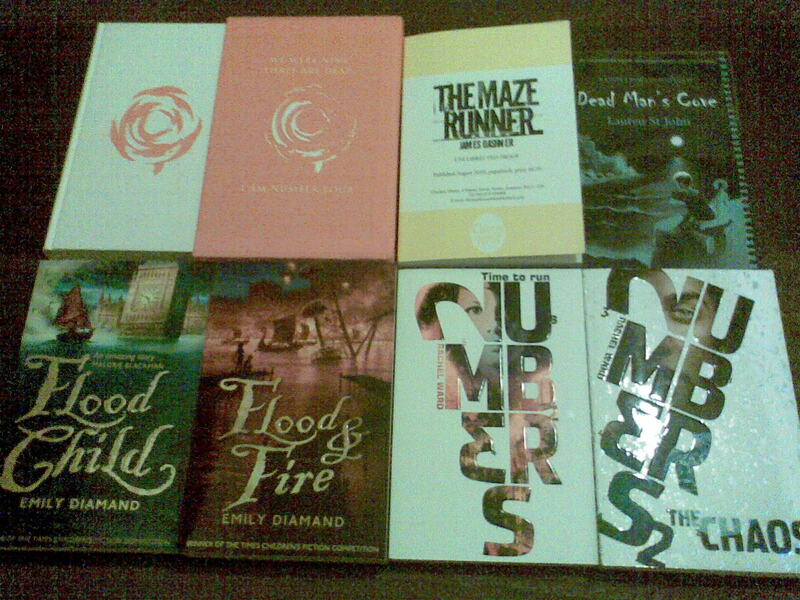 UK Proof Copy/Advanced Reader's Copy. "In the beginning we were nine. We left when we were very young, almost too young to remember. Almost. And now . . . Three are gone. We are here to keep our race alive, which was almost entirely obliterated. We’re just trying to survive. Six are left. But we are hunted, and the hunters won’t stop until they’ve killed us all. They caught Number One in Malaysia. Number Two in England. And Number Three in Kenya. I am Number Four. I know that I am next." Wow! cool collection of books. I was wondering if these books are available in our region? I have been looking for new set of books which I can download online. Thanks for the post though because this is really helpful. I have a collection of fiction and non-fiction books from wonderful authors.